On Tuesday 25th June 2013 UCLB hosted its Annual Summer Reception. The evening was set against the backdrop of the neo-classical UCL Portico and the newly renovated Flaxman Gallery. Guests enjoyed drinks, canapés and entertainment from UCL’s Jazz Society. UCLB’s Managing Director, Mr Cengiz Tarhan, addressed guests and outlined some of the company’s major achievements over the last 12 months. 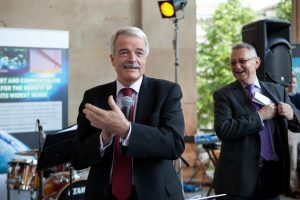 Mr Tarhan then welcomed, for the last time as President and Provost of UCL, Professor Sir Malcolm Grant, who spoke on the importance of technology transfer and UCLB’s successful role within the university. Sir Malcolm, who will retire from his position in September, was presented with a gift by Mr Tarhan and Professor Alan Penn on behalf of UCLB and The Bartlett. 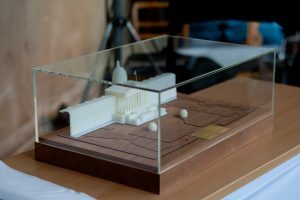 To mark his 10 years in post, Sir Malcolm was given a 3D replica of the UCL Portico. Guests later had the opportunity to attend a private viewing of the prestigious Bartlett Summer Show at the Slade School of Fine Arts. The show provides an opportunity to view the works of promising emerging talent at The Bartlett School of Architecture. The School has won multiple awards, consistently topping the Guardian league table and being voted the The Best Architecture School in the UK by Architects’ Journal. During the course of the night mental health charity BITA Pathways, in collaboration with Fashion Designer Yasar Spoerndli, introduced to guests the finished products of the ‘Portico Bags’. 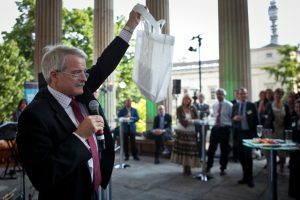 The bags were made using the material from Nicloas Feldmeyer’s giant woven art instillation which dominated the Portico at the 2012 Summer Reception. 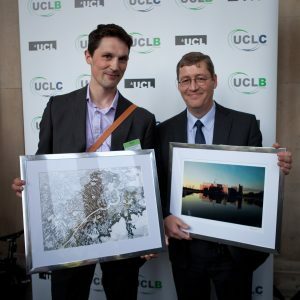 The presentations were wrapped up with awards to the winners of the annual UCLB prizes. 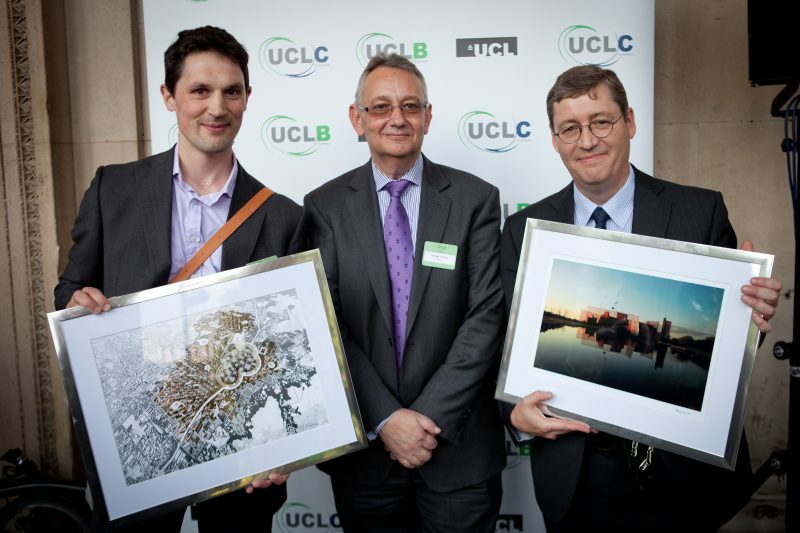 UCL’s Vice-Provost (Enterprise), Professor Stephen Caddick and Mr Peter Arrowsmith from Cleveland IP, each received an exclusive signed print from The Bartlett.